Your audio and video production specialists. "Danger Studios helped us repurpose all our training videos for our Spanish speaking market. Saving us thousands of dollars. I would highly recommend them." 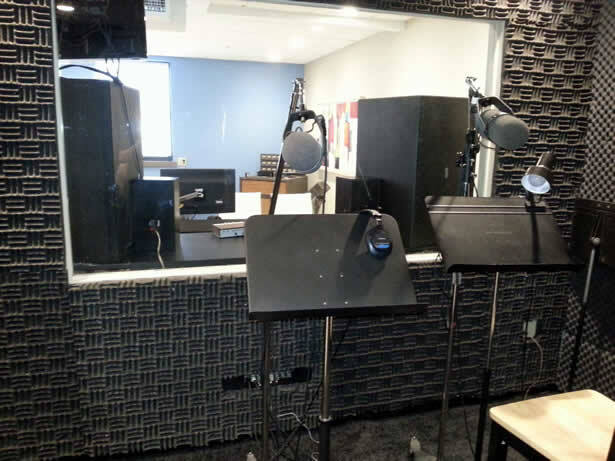 We have a complete professional audio and video production studio featuring a large control room and voice-over booth to accommodate your bigger projects comfortably. Find the perfect music or SFX for your project with our huge production library. Choose from thousands of selections in all styles. Danger Studios will infuse your project with the latest equipment and experience necessary to insure a successful production. We've been creating "jingles that last" for decades and have a proven track record of producing musical marketing messages that stand the test of time. Many of our clients have been successfully using the same jingle for a very long time, maximizing their advertising budgets and reaping great returns. A jingle, when done well, is a lot more than a snappy tune and a few words. A great jingle is a true "musical signature" that anchors and amplifies your radio, TV or Web marketing message. A great jingle that can be used successfully year after year is a cost-effective investment that will brand your company’s services and products, ensure top-of-mind awareness, solidify long-term loyalty and increase sales. Demos upon request. Danger Studios has an entire division dedicated to website development called "Danger Web Services". Please go to the Danger Web Services site for more information, or simply call our office for details. DV Translations is a division of Danger Studios that works exclusively on translating videos from one language to another. We can take any existing video and translate it from one language into another. Please go to the DV Translations site for more information, or simply call our office for more information. Copyright © 2013 Danger Studios. All rights reserved.